With tech startups, the hassle about selecting a tech, in particular, seems to outshine the chicken-and-egg problem. This move determines implementation success, or the other way round. Creating an online store is no longer a luxury, it has a direct impact on your profits. Now can you name an aspect that plays a major role in making your website a grand success? It’s the design! If you want to gain the spotlight and hold it for long! Choosing a well-designed ecommerce site will do the trick for you. However, not every business can afford to pay for custom website design, and with a plethora of free WordPress themes, you don’t have to spend extravagantly to build your online store. Opening up an eCommerce store can be a tricky task unless you don’t come up with the right ecommerce theme. 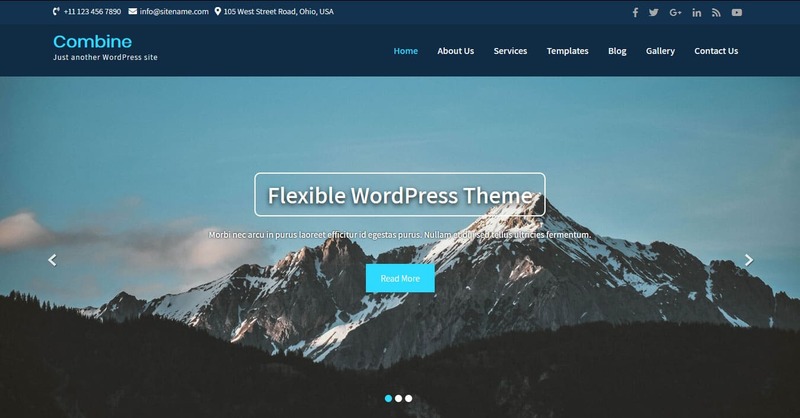 Going by the trend, Leto WordPress theme is leading the pack with its outstanding features and functions. Further below I would like to mention a few basic yet crucial factors that must be taken into consideration while choosing a WordPress theme for your ecommerce store. Visual appeal – The famous adage – “The first impression is the last impression” is highly applicable to the ecommerce industry. A poorly designed website will offer you nothing more than a high bounce rate and less retention rate. On and all, themes play a major role to cast a spell on the visitors. In addition to this, one must always consider that theme should not be only about graphics, but it must also look professional. Create a website in such a way that it acts as the right representation of your business. Customizable – If we look in regards to the business perspective, ecommerce is such a business that is subjective to quick expansion in a short span. This means whatever theme you end up with, make sure it comprises of advanced and additional features to support you. Digital technology being subjective to advancement and change, it is very important to choose a theme should not be a constraining factor in customization and versatility. Is it responsive? – Until you don’t make major advances with a responsive design, everything seems like a wolf in sheep’s clothing. This probably means your site will adapt sizes depending on whether the customer is viewing it from a computer, tablet or phone. Still, it is always advisable to test out the site on several devices in advance to see whether it appears the way you want or not. A style that fits your brand identity – Is it trendy or classic? Designing a WordPress theme for ecommerce store highly depends on the brand identity. Starting from your company colors to fonts you like, image selection, come up with something that easily resonates with your brand. PrestaShop themes are designed to showcase a variety of products. Does it load quickly? – In today’s fast-paced world, speed matters the most. Your site must load quickly so that the impatient customers don’t switch. It may quite interest you to know that if Amazon would take one-second delay to load, then chances are there that the company would lose 1.6 billion dollars in sales a year. A simple looking site which loads quickly is way better than a fancy one that takes more seconds to load. Nothing can beat WordPress when it comes to choosing a perfect platform for launching an eCommerce venture. I will tell you why. 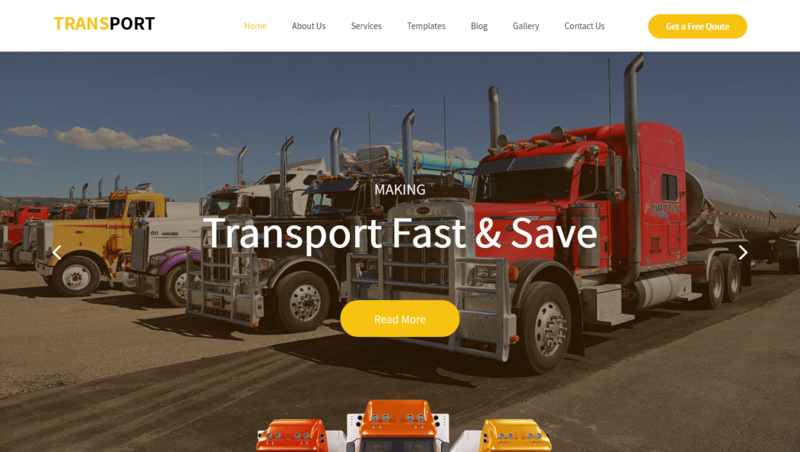 The simple, clean, reliable looking WordPress theme aims to build websites for transport, logistics, shipping, warehousing, movers & packers, and such industry verticals. Attractive, responsive, live preview, compatibility with Woocommerce plugin, user-friendly interface, custom widgets for footer and sidebar, are some of its key features to consider. In addition to this, the theme acts as translation ready and multilingual which will make your website accessible to a global audience. Stunning, professional looking, fully-functional are certain words that justify the theme in particular. 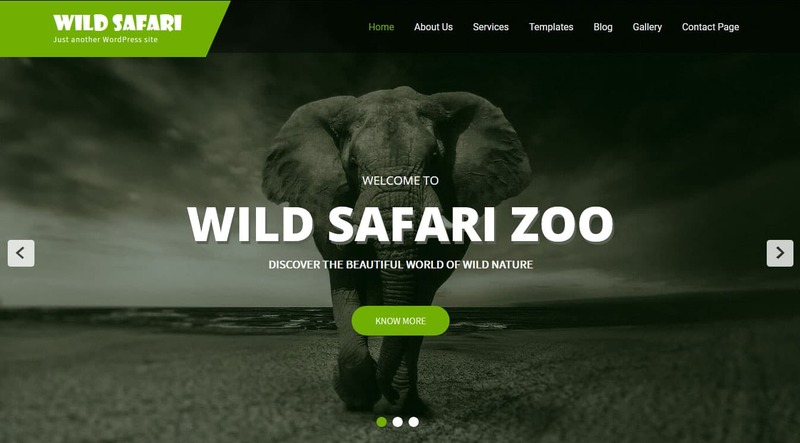 As the name implies, the theme is specially designed for animal, pets, wildpet care, Safari parks, aquariums, pet animal zoos, wildlife charities & wildlife sanctuaries websites. Compatible with popular drag and drop page builder plugins, easy to build, ready for WooCommerce plugins are some of its key benefits. Furthermore, this free animal and pets WordPress theme is fully responsive and compatible with all popular browsers such as Mozilla Firefox, Google Chrome, Safari, Opera and IE11. Are you looking for a free multipurpose WordPress theme? If yes, Combine Lite is the one for you. It features user-friendly customizer options, SEO friendly, compatible with WooCommerce, Nextgen gallery, Contact Form 7 and many WordPress popular plugins. This one is my favorite. A flexible and robust looking theme apt for freelancers, designers, marketers, artist, personal blog and companies. Easy to set up, corporate view features fantastic customization options such as change site color, background color, fonts and slider images. Also, a logo image can be uploaded for your business brand. Getting noticed on Google is no longer a huge concern because the theme ensures that your business website has the best chance of getting noticed on Google search engine. It also supports WooCommerce plugin to help you create an online store and starts selling your products without much effort. Translation ready, multilingual, cross-browser compatible, Font Awesome and retina ready are other interesting feature worth taking into account. Are you a foodie or do you own a restaurant? The free Restaurant WordPress theme is developed to suit the requirements of restaurant and cafe websites. So whether you own a restaurant, cafeteria, pub, bar, wine shop, and other food-related business, the theme can help you in gaining popularity in no time. Responsive, fast loading, translation ready, SEO friendly, clean code base, compatible with WooCommerce plugins, user-friendly interface with documents, social media integration are some of its exciting features. This is a partial list; I could go on and on with themes like Study Circle, Beautiplus, creator world, photostat, IT expert, helping hands, dentist plus, swiftone and so forth. When zeroing in on a theme, make sure to have the specific needs of your website in your mind. Until you’re sure, don’t rush into making a decision! Remember that, a well-thought-out online presence will always have a significant impact on the bottom line. Vikash Kumar is the Manager of Tatvasoft which deals with web development services and enterprise level application development. Vikash also loves to share technical insights on AI & Machine Learning.